Living in the Midwest, we get our fair share of summer rainstorms. Often times, we find ourselves hunkered down in the basement because said storms are accompanied by tornadoes. That's what makes these rain activities for kids so much fun... They allow us to explore this element of nature in a way that makes it less threatening and scary when we are faced with it in real life. 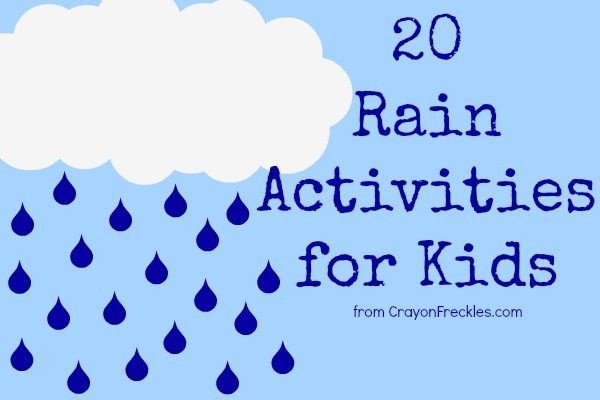 Check out these amazing play and learning rain activities for kids! Create rain in a glass using two simple items everyone has at home. Mimic the noise the rain makes by making rain sticks like Danya Banya. Partner up with the rain outside to create these rainy day splatter paintings from mama.papa.bubba. 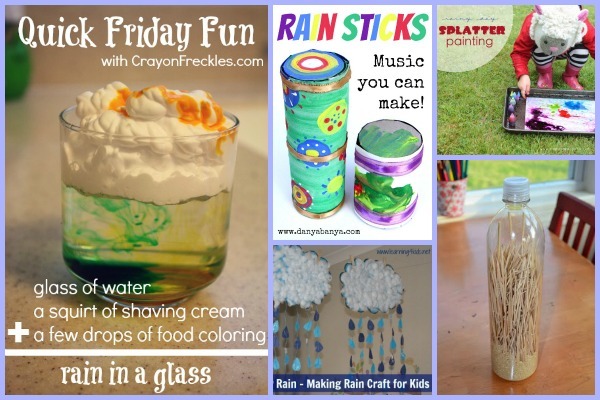 Grab the cotton balls and glue so kids can create these cute rain mobiles from Learning 4 Kids. Reuse an empty plastic bottle to create a rainstick sensory bottle for little hands and ears to explore. 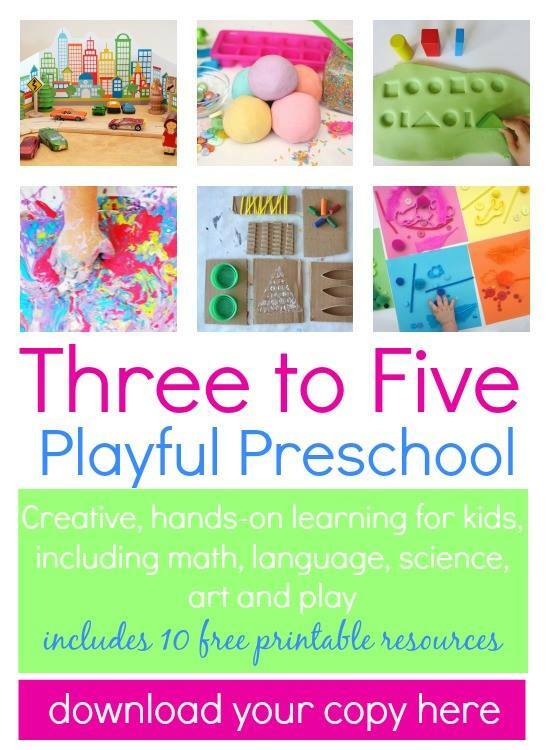 Let the rain wash some color into your kiddo's collages using this technique. Get hands-on exploring raindrops using this super fun technique with cotton balls. 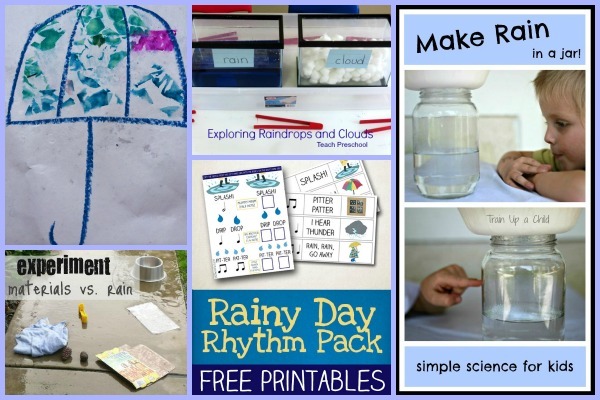 Let your little scientists explore and create their own rain in a jar like Learn Play Imagine did. 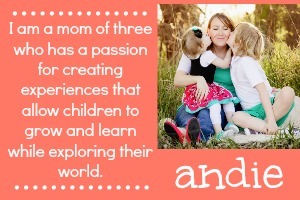 Experiment with the rain and various materials the way that A Mom with a Lesson Plan did. Use this rainy day rhythm free printable pack to play from Let's Play Music some rainy day games. 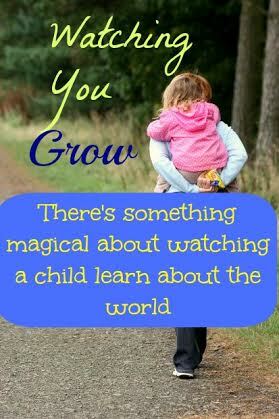 Go on a rain walk and do experiments with the rain inspired by this post at Mom With a Lesson Plan. 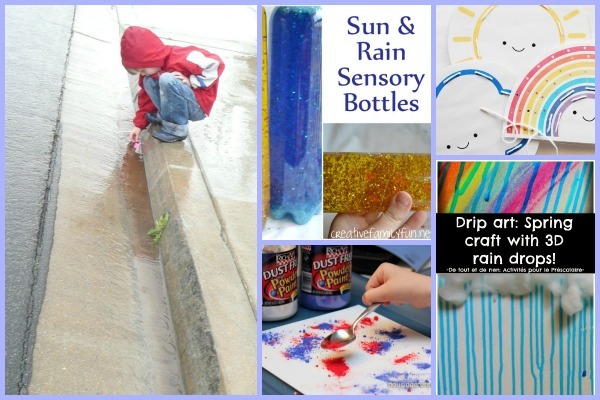 Making a rain sensory bottle will provide for lots of quiet hands on fun for your little one. Kiddos can get some great fine motor skill practice with these free printable weather lacing cards. Rain paint with powdered paints and use them to rain paint the way that Housing a Forest did. Create drip art with 3D raindrops inspired by these from De Tout et de Rien. 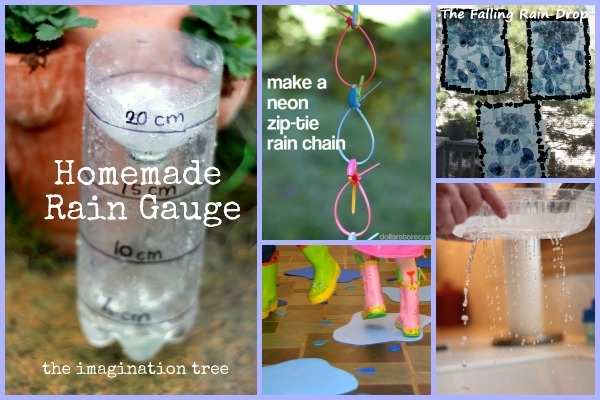 Measure the rainfall in your area with a homemade rain gauge like the Imagination Tree did. Grab one item from the garage and make these awesome rain chains inspired by Dollar Store Crafts. Create these rain suncatchers based on the book The Falling Rain Drop like 3 Dinosaurs did. 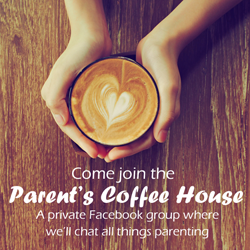 If there's not rain outside, try some indoor puddle jumping. Dig through the recycling bin for what you need to make your own rain using this tip. After looking at all of these activities and our forecast for the week, I'm actually anxious for us to get some rain so we can go outside and try some of them! What's your favorite rainy activity to do?